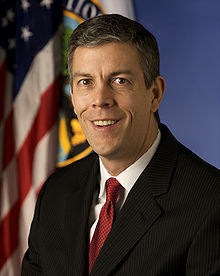 Arne Duncan Did Such A Great Job Managing the Student Loan Crisis, Let's Make Him Secretary of State! In a recent New York Times editorial, Thomas Friedman endorsed Secretary of Education Arne Duncan as the next Secretary of State. Right. Duncan has done such a great job managing the nation's student loan crisis, let's put him in charge of the Middle East. Without a doubt, the federal student loan program is DOE's biggest challenge. As everyone knows, the program has about $1 trillion in outstanding student loans and about 6 million people are either behind on their loan payments or in programs designed to help people who can't make their regular payments. What has DOE done about the federal student loan program under Secretary Duncan's watch? First, DOE has increased the measurement period for computing default rates from two years after the loan repayment period begins to three years. This is a good thing, because it moves us closer to determining what the real default rate is. But research shows that most student-loan debtors default after three years,and we know that some For-Profits have encouraged their former students to apply for economic hardship deferments to keep those students from showing up as defaulters. We still don't know what the default rate is over the life of students' repayment period, but it is much higher than DOE reports. The default rate for students attending for-profit schools is quite high--maybe 50percent. Second, the Obama administration has eased the repayment terms for borrowers who elect to enter the Income-Based Repayment Program, which is also a good thing. But we are not solving the student-loan crisis by putting borrowers in 20 year repayment plans. In fact, we may be creating a new class of indentured servants, people who pay a percentage of their income to the federal loan program for the majority of their working lives. 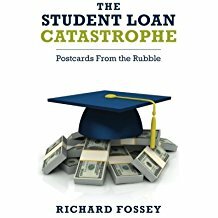 I realize the federal student loan program has enormous economic and political dimensions, with many powerful players wedded to the status quo. I would not expect Arne Duncan to solve all the problems associated with the program without broad political support. Nevertheless, these are the things that President Obama and Secretary Duncan could have done and should have done, whether or not there was Congressional support. Number One: DOE needs to report an accurate student-loan default rate, which it has not done. Instead, the public has had to rely on outside agencies to provide some clues as to what is going on. The Federal Reserve Bank of New York's recent report is enormously informative, but the Reserve Bank relied on a credit agency, not DOE, to get data to assess the student loan program. Number Two: The Obama administration and DOE could stop the garnishment of elderly student-loan debtors' Social Security checks. Social Security income is exempt from garnishment for a wide variety of debt, but not student loans. This year, the government garnished Social Security checks of 119,000 elderly people (Lewin, 2012). This practice is a scandal and undermines President Obama's image as a person who truly cares about Americans suffering economic hardship. Number Three: I know I am repeating myself, but we must provide reasonable avenues for people to discharge their student loans in bankruptcy. Presently, a significant percentage of people make bad choices when borrowing money to attend college. Instead of enhancing their economic future, they have sealed their economic fate--basically casting themselves out of the middle class because they are saddled by unmanageable student-loan debt. For these people, the student-loan mess is not just an economic crisis, it is a crisis of human suffering. In years to come, when Arne Duncan's tenure as DOE Secretary is assessed, historians will say he did an admirable job of managing the student-loan crisis, which grows bigger every day. But we don't need a problem manager to head DOE right now, we need a problem solver. Arne Duncan has not been a problem solver, and for someone of Thomas Friedman's status to suggest that Duncan should run the State Department is difficult for me to understand. (Fortunately, Duncan said no to Friedman's suggestion (Fabian, 2012). Thomas L. Friedman (November 27, 2012). My Secretary of State, New York Times. Tamar Lewin (November 12, 2012). Child's Education, but Parents' Crushing Loans. New York Times. 10,000 law review articles are pubished each year--most of them useless. Meanwhile law school tuition has gone through the roof. 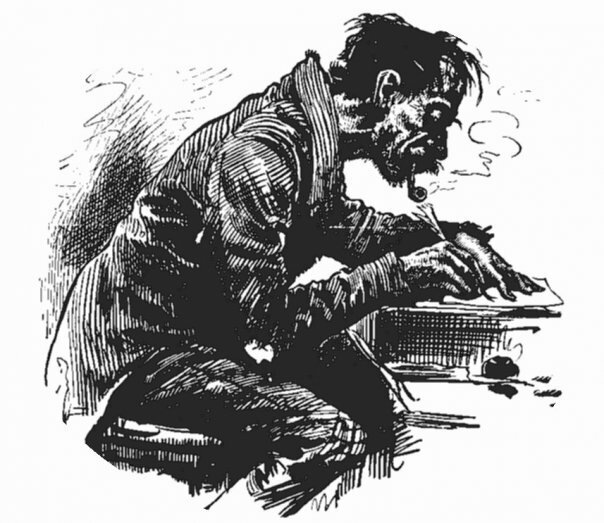 Let's write more law review articles! John G. Browning published an essay in today's Inside Higher Education (www.insidehighered.com) criticizing law reviews. Browning points out that 600 law journals publish 10,000 law review articles each year, and 43 percent don't get cited by anyone. And these articles are not cheap. Browning estimates that the cost of a law review article written by a tenured professor at a top-tiered law school is around $100,000! I have written a few law review articles myself, and I have been cited more than 100 times in the law reviews, including Harvard Law Review. I admit, however, that most citations to my work are in law students' articles, not articles written by law professors. I suspect the law students cite me to demonstrate that they did a superhumanly exhaustive review of the literature: "See, I even cited an obscure article by some nobody College of Education professor from Texas!" Professor Browning cites one article as an example of how esoteric most legal research is: "Historic injustice and the Non-identity Problem: The Limitations of the Subsequent-Wrong Solution and Towards a New Solution." But there are many law articles with similarly obscure titles. How about this 2004 essay: "Sarbanes-Oxley, Jurisprudence, Game Theory, Insurance, and Kant: Toward a Moral Theory of Good Governance." It is shocking that law professors churn out articles at the rate of 200 a week, most of which have little or no value, while law-school tuition is going through the roof; and the market for law graduates has shrunk. As a bankruptcy judge pointed out in a recent opinion, the law schools will turn out around 45,000 graduates a year in the coming years for a job market that only needs 25,000 jobs. Meanwhile, so far this year, the federal government has garnished the Social Security checks of 120,000 elderly student-loan debtors who defaulted on their loans. One might hope that at least one of the 10,000 law review articles that will published in 2012 will recommend that this practice be stopped. But don't count on it. A recent article in the New York Times (Lewin, 2012) reported on the plight of older Americans who took out loans to pay for their children’s college education. About 2.2 million people who are 60 years old or older owe on student loans, and the total amount of their debt is $43 billion. According to experts cited in the Times, almost all of these loans were taken out by parents to pay for their children’s education. Parent Plus loans, loans taken out by parents for their children’s college education, now represent about 10 percent of all the federal student loan money that is borrowed. Senior debtors who are in arrears on student loans can see their Social Security checks garnished. So far this year, the federal government has garnished the Social Security checks of 119,000 people (as reported in the Times). President Obama and Governor Romney talked some about the federal student-loan crisis during the presidential campaign. President Obama made much of the fact that he pushed through the direct lending program for college students. But neither President Obama nor Governor Romney offered any significant relief for the millions of people who are drowning in student-loan debt. 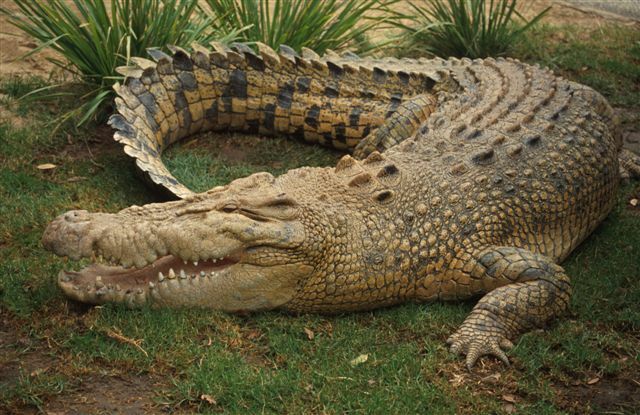 In my opinion, both men cried crocodile tears—expressing empathy and sympathy while proposing nothing that would give these sufferers some relief. What can be done to help these poor people? Proposal Number One. Congress should pass a law protecting people’s Social Security checks from garnishment for delinquent student loans. If Congress won’t do this, President Obama should stop the garnishment of Social Security checks by Executive Order, much the same way that he implemented the Dream Act, which Congress refused to pass. Proposal Number Two. Overburdened student-loan debtors—including parents who went into debt to finance their children’s education—should have the same access to bankruptcy relief that is available to any other debtor who has unsecured loans. Scholars have argued for this change in the Bankruptcy Code for many years. Proposal Number Three. We’ve got to kick the for-profit colleges out of the federal student loan program. The for-profit sector has the highest student-loan default rates, and many of them have engaged in unfair recruiting practices to attract students. Not all for-profit colleges are bad eggs, but there are enough problems in this sector to justify removing them from the federal student-loan program. Our politicians can cry crocodile tears about the suffering being experienced by student-loan debtors who are unable to pay back their loans, but those tears won’t be genuine until the federal government in both the Executive and Legislative branches take tangible action to provide relief for student-loan debtors and their parents—and the action they need to take is painfully obvious. Lewin, Tamar. (2012, November 11). Child's Education, but Parents' Crushing Loans. New York Times. According to Inside Higher Education, the Iowa Board of Regents recently eliminated a policy whereby Iowa public universities earmarked 20 percent of student tuition money for use as financial aid. The Iowa Board of Regents did the right thing. The common but little-publicized practice of earmarking tuition money for student aid is nothing more than a policy of forcing disfavored students to donate part of their tuition money to their university so that the university can give financial aid to students that it favors--often minority students. The practice of using part of student A's tuition money to give reduced tuition to Student B is particularly pernicious when Student A is borrowing money to attend college. After graduating from Harvard Graduate School of Education, I recall learning that about one-third of my tuition money was used by Harvard to give financial aid to other students. I realized that one-third of every monthly check I wrote to pay back my student loan was a payment on some other student's tuition, not my own. Of course it is laudable for universities to award financial aid to students who are economically disadvantaged or minority students that universities particularly want to attract in order to promote diversity. But this seemingly benign policy of making some students pay for other students' financial aid is nothing more than liberalism on the cheap. If Harvard or some other elite university believes it is beneficial to use financial aid to attract minority students, it should use its own resources to pursue that goal, and not force disfavored students to pay for Harvard's liberalism by increasing the size of their student loans. In my view, the practice of using disfavored students' tuition money to fund financial aid for other students is part of a larger rottenness of moral purpose at our universities. Most university leaders are liberals who espouse the political and social views of the New York Times and other liberal beacons of social values. But few are willing to take any personal risk in order to trumpet those views. Thus we see law school deans harassing the Christian Legal Society chapters on their campuses because the CLS upholds traditional Christian views about marriage. Politically, hectoring CLS is a completely safe thing to do, because CLS has very few friends in the academic world. But how many law school deans have made a personal sacrifice to stop the upward creep of law-school tuition? How many university presidents have taken even one politically controversial stand that might damage their careers? For example, how many have opposed the war in Afghanistan, come out in favor of reforming our immigration laws, or supported legislation to relieve the suffering of overburdened student-loan debtors? Very, very few--if any. No, it is much safer for college administrators to use their students' tuition money to advance their personal social agendas and to harass Christian student groups as a way of publicizing their broadmindedness. No wonder our universities have descended into a moral morass. University leaders are thinking too much about their own careers and not enough about the welfare of their students--all their students. Kevin Kiley. Use of public tuition for financial aid is likely to become a political issue in many states. Inside Higher Education. November 5, 2012.